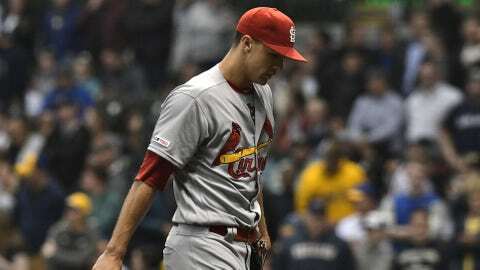 Lorenzo Cain and Yasmani Grandal each homered in a five-run third against Jack Flaherty (1-1) when the Brewers went up 5-0. Brandon Woodruff (2-1) held the Cardinals scoreless until Marcell Ozuna‘s two-run homer, his seventh, with one out in the sixth. Woodruff allowed two runs on seven hits in 5 2/3 innings, striking out six.